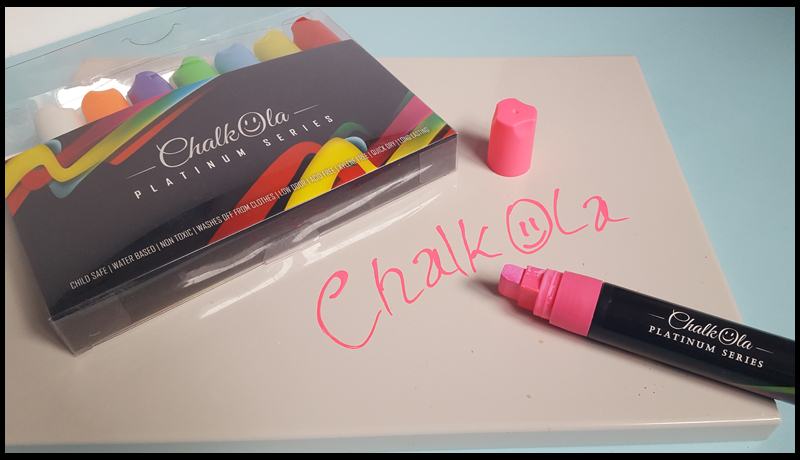 I was recently sent a selection of Chalkola Chalk Markers to review and test out, and we've had such fun with them, I'm really pleased with this product! The markers are used on non-porous surfaces only, such as chalkboards, glass, mirrors, plastics and windows. I actually had great fun decorating some spare tiles that I had 'just in case'. Porus surfaces have small holes in which can absorb the liquid chalk in and can, therefore, make it difficult to completely erase them. It is also worth noting the markers can be used on chalkboard paint but customers in the past have found it difficult to erase them as the paint makes the surface porous. I've created a video to show you the effects of each pen in the Chalkola series. I love the bright colours, the flow of the ink and the fact that these pens are not permanent and with a wipe of a damp cloth you can start all over again. I can't decide which of the series is my favourite, I love how all of the pens write on my tile! But if you're interested in purchasing these products you can get them over on Amazon* with the links below and even better, the fabulous guys over at Chalkola have offered my readers a 15% discount! Now for the really exciting news!! 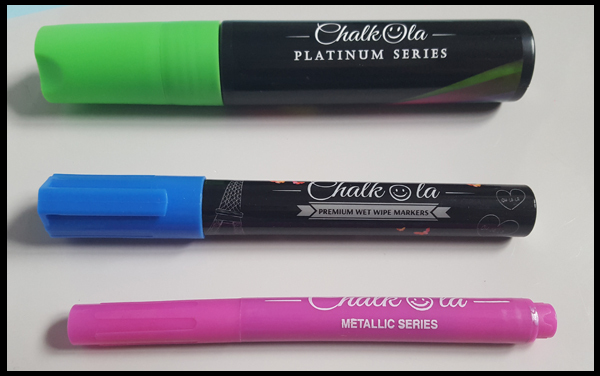 I have teamed up with Chalkola to offer my readers the newly launched 21 marker set - 15 chalk makers + 6 metallic markers! All you need to do is complete at least 1 of the Rafflecopter options below! Good Luck & don't forget to let me know which is your favourite marker. I received Chalkola Markers to review.